Whiteboarding workshop: design sprint kicking-off. November 15, 2018. 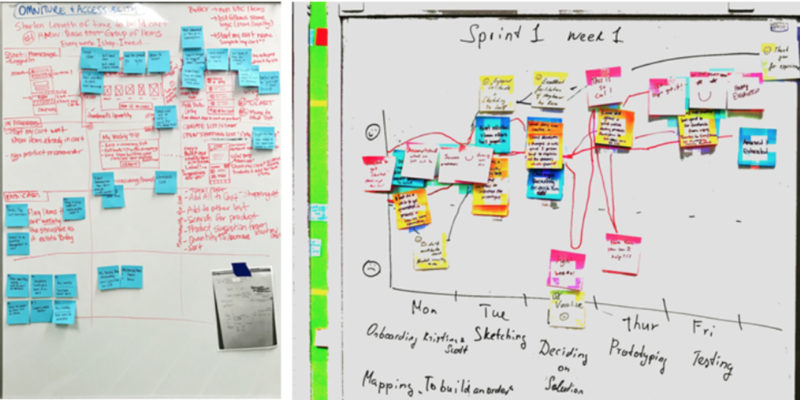 Every discovery and design sprint starts with a kick-off session with the stakeholders. shared understanding of the problem to be solved during the design sprint. Basic visual communication techniques promote trust and shared understanding fast and effectively. It's an essential component of great relationships with your team and stakeholders. Experienced digital solutions consultant who worked with various clients from tiny startups to Fortune 50 companies. She designs valuable experiences and manages design and development of digital products. The weather was not so good but people came and we had a great session.